As one of the most famous and most talented women in the world, it’s hard to imagine that there is anyone out there who hates Jennifer Lopez. After all, it sounds almost impossible to not fall head over heels in love with our favorite Jenny from the Block. With her impressive singing voice, her outstanding acting talent, and those epic dance moves, she seems to have it all going on. It’s time to get the popcorn ready because the feud between Jennifer Lopez and Mariah Carey is still ongoing. Yes, even after all of these years! Their feud began in the early ‘00s after Mariah Carey claimed that J-Lo had stolen some of her musical material. Although they could have just brushed this under the carpet, Mariah went ahead and made things even more awkward. During an interview that will go down in history, the pop diva claimed that she didn’t know who Jennifer Lopez was and didn’t have anything to say on the matter. Of course, the two singers knew each other pretty well, and this interview was soon spread across magazines and newspapers. Since then, the two have been at loggerheads with each other. Celebrity feuds fall like dominos in the world of Hollywood because famous faces like to have each other’s backs. This was the case in 2017 when Brandy posted an adorable picture of herself and Mariah Carey on Instagram. Sure, a picture is innocent enough, but it was the caption that really got people talking. Brandy posted the photo with “#SheKnowsMe” written underneath, and fans were quick to assume that she was dragging Jennifer Lopez down. The caption seemed to be a play on the iconic interview Mariah had given years earlier, and it seemed as though Brandy was picking a side. If you’re still wondering which side she picked; it definitely wasn’t J-Lo’s. 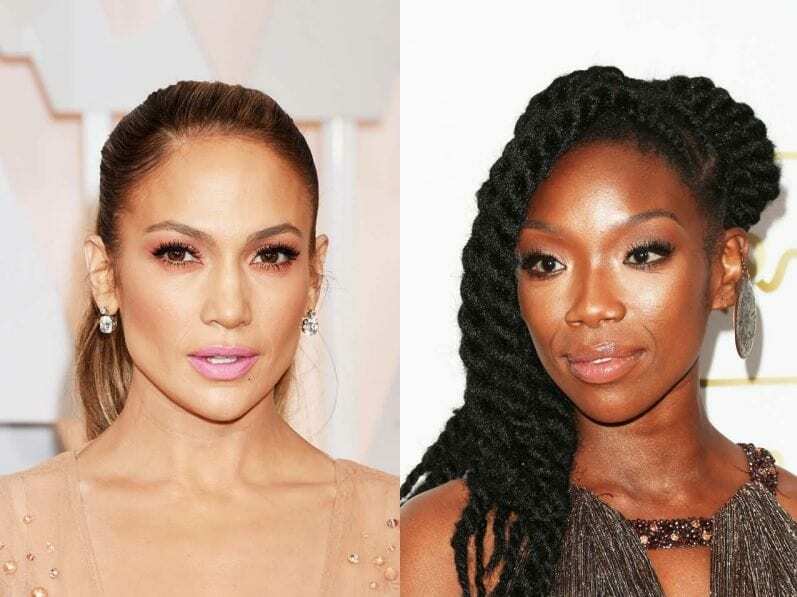 Of course, rumors of a feud between J-Lo and Brandy are still only speculated. We probably don’t need to tell you that it didn’t go down too well. 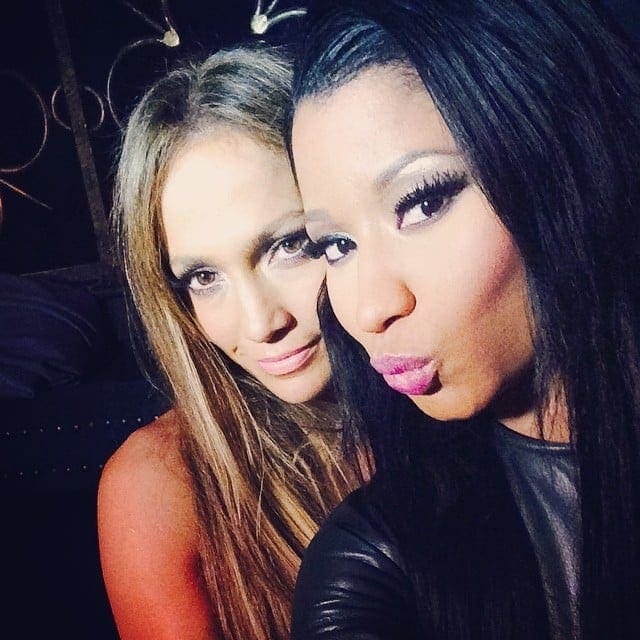 A few years later, Jennifer Lopez decided to include Nicki’s song “Anaconda” in a mash-up at the American Music Awards, and the camera panned to Nicki when she did so. Minaj’s face soon became a viral sensation, because she did not seem too impressed. 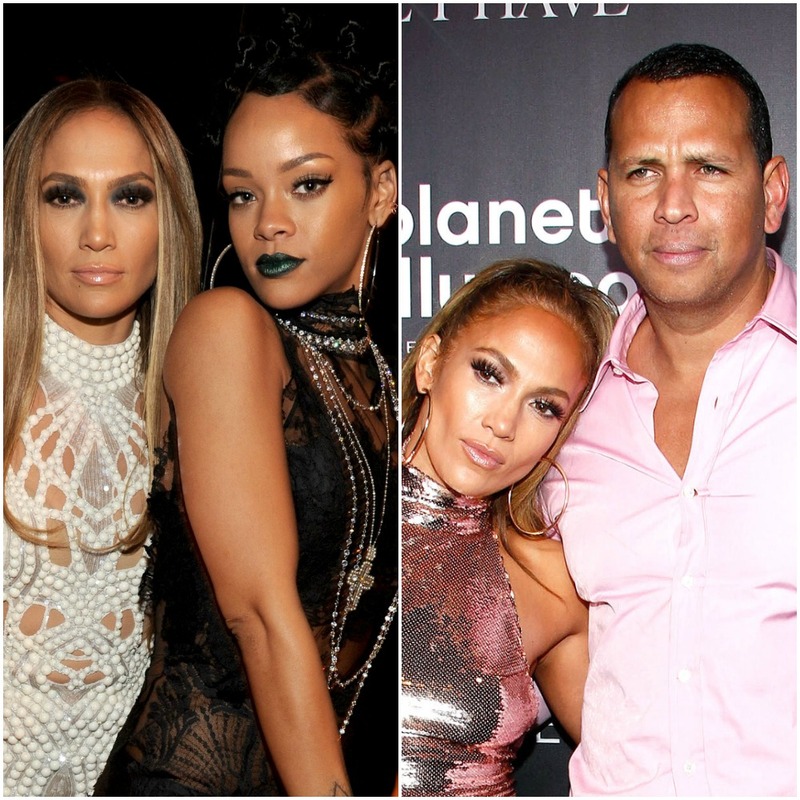 Like many feuds in life, Jennifer Lopez and Rihanna’s rumored feud is over a love interest. Can you guess who? Of course, we’re talking about Drake. Over the years, Rihanna and Drake have been off and on again more often than not, but in December 2016, rumors of a romance between Drake and J-Lo began to make the rounds. After recording a song together, they quickly became close and appeared in steamy performances together. It was reported that Rihanna didn’t like their blossoming relationship, and a source close to the Barbadian singer suggested that Rihanna thought J-Lo was “desperate.” As the rumors gained even more traction, Rihanna then unfollowed her frenemy on Instagram. In the celebrity world, that’s as bad as it gets. It might not surprise you to find Marc Anthony on this list, considering the couple was once a married couple! In fact, the couple welcomed twins into the world during their ten-year relationship and seemed to be on the best of terms. However, their marriage started to break down, and they knew that they couldn’t carry on. Although neither J-Lo or Marc Anthony have commented on this, there are reports that Anthony cheated on the singer. Could this be why they are no longer as close as they once were? Both Jennifer Lopez and Winona Ryder are both huge names in the world of Hollywood, but it’s safe to say that one quote has stood between the pair for much of their careers. During a 1998 interview, Jennifer Lopez confirmed that Ryder was “revered” in Hollywood, but she didn’t seem to get the hype herself. 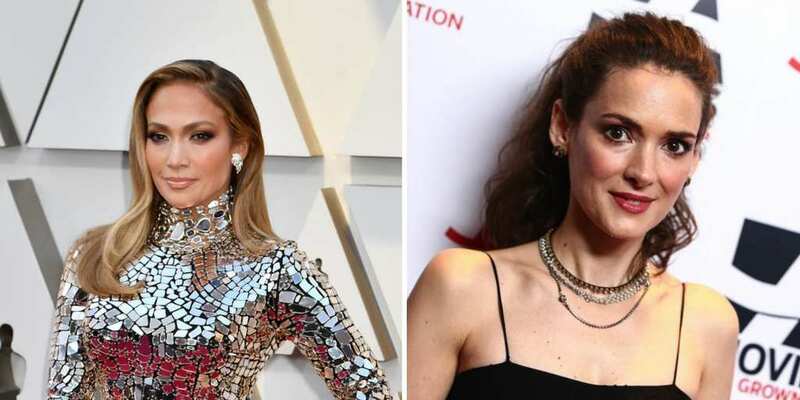 She stated that she’d “never heard anyone in the public or among my friends say, “Oh, I love her.”” While this isn’t clarification of a feud, there’s no doubt about the fact that these two actresses have conveniently not crossed paths during their careers. 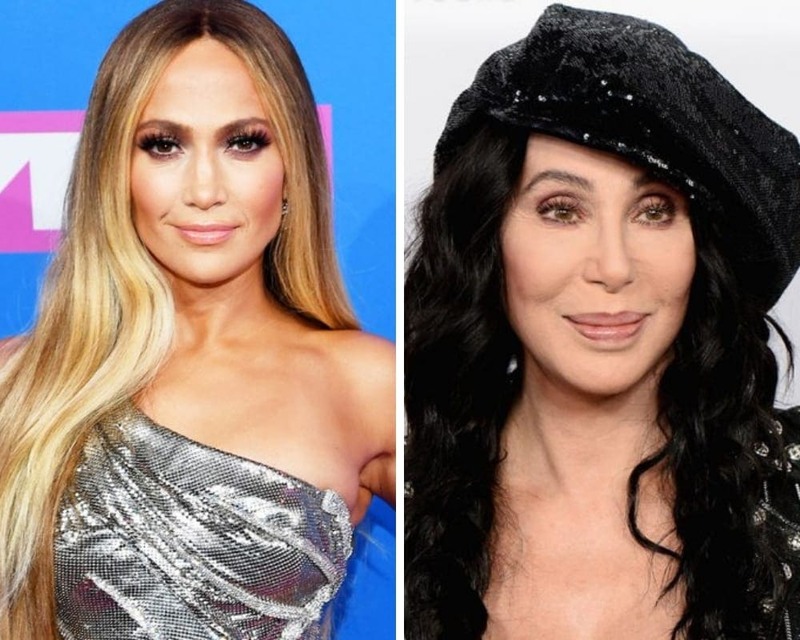 Although you’d think that Jennifer Lopez and Rosie Perez would get on thanks to their shared interests and their similar upbringing, it seems as though the complete opposite is true. The two dancers worked together on the set of In Living Color, and Perez later remarked in her tell-all book that Jennifer Lopez was “manipulating” the wardrobe, the other dancers, and the makeup “all to her advantage.” She has also suggested that J-Lo would make “disparaging comments” about her to friends, but would then be friendly to her face. We have to take this feud with an extra pinch of salt. Jennifer Lopez and Jenna Dewan both put their dancing talent to good use when they appeared as judges and hosts on the dance competition, World of Dance. While they seemed to get on well on-screen, those behind the scenes noted that the atmosphere was a little frosty. Sources close to the show sparked a feud between the two of them, and suggested that everything to do with the show was “micromanaged by J-Lo.” However, representatives for Jenna have denied this being the case. Jennifer Lopez has been able to work her way up over the years to become a huge name in the world of show business, and it seems as though she’s also learned a lot over that time. This has given her the chance to speak on other actors and actresses, but some people aren’t too happy with her comments about Cameron Diaz. If you’re up to date with J-Lo’s love life, you’ll know that Jennifer Lopez was actually married to Ojani Noa. The couple were husband and wife for nine months back in 1998, but this relationship ended in heartbreak just a short while after, when J-Lo decided that Ojani wasn’t the man for her. Since then, Ojani has tried everything he can to get back at his former flame. He has threatened to release a tell-all book, he threatened to release intimate photos and videos of J-Lo, and he has spoken on countless occasions about her negative traits. Is he just a bitter ex? Celebrities seem to forget that their interviews are recorded for the whole world to see, and it seems as though J-Lo forgot this little fact in 1998. During an interview, she spoke about her fellow actress, Gwyneth Paltrow. Instead of praising another strong woman in Hollywood, Jennifer Lopez asked the interviewer to “Tell me what she’s been in?” and suggested that Paltrow only rose to fame because of her high-profile relationship with Brad Pitt. Since then, the two actresses have rarely been associated with each other. Over the course of her career, Jennifer Lopez has been linked to various men. She has dated some of the biggest names in show business, and she has even married a couple of them. Yet, her relationship with Casper Smart was particularly exciting. The couple had an on-and-off relationship, but it’s believed that they broke up for good after Smart cheated on her on two separate occasions. While this hasn’t been confirmed, sources suggest that J-Lo has lost the soft spot in her heart for the choreographer and artist. This rather public feud probably shouldn’t come as a surprise. That’s because Cynthia Rodriguez is the ex-wife of Alex Rodriguez, who recently asked J-Lo to marry him. There’s always going to be bitterness between ex-lovers, and it seems as though this is definitely the case for J-Lo and Cynthia. Much of this strain comes from the idea that Alex supposedly hasn’t paid enough child support since being in a relationship with Jennifer Lopez. However, there’s hope that the two women will hash it out and eventually become friends. Although it seems as though Jennifer Lopez and Leah Remini are now the best of friends, there was a time when they were supposedly feuding, and it was most definitely in public. In 2017, the two actresses made their way to a restaurant with producers, and Leah made sure to tell everyone that she was a year younger than J-Lo. Reports suggested that Lopez was not happy with these comments, and a seemingly tense exchange occurred between the two of them. Thankfully, they have now gotten over this incident. Cher is arguably one of the most famous women in the music world, and she definitely knows it. The singing icon has been asked on numerous occasions about her place in the limelight, and it seems as though she’s not too worried. In 2002, she was asked whether she thought the likes of Britney Spears and J-Lo would steal her place in the pop world. Cher refuted the claims and noted that they definitely wouldn’t be taking her place. She also went on to call them a rather rude word beginning with B. We think you know what we mean. As two strong Latina women, it was no surprise when Jennifer Lopez and Eva Longoria became friends. They had lots in common, and they were soon attending fancy dinners and runway shows together. At least, until things got messy. It’s believed that Jennifer Lopez and Eva Longoria have been in a feud ever since photos emerged of Longoria sitting on the lap of Lopez’s then-husband, Marc Anthony. It’s believed that J-Lo thought lines had been crossed and ditched Longoria from her Christmas card list. This is a friendship we will sorely miss. 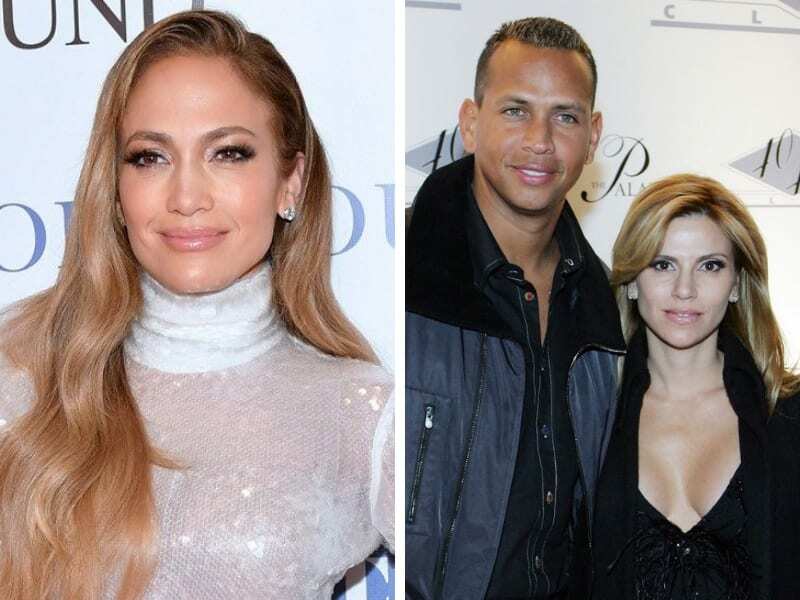 You might be wondering why Alex Rodriguez is on this list, considering he and J-Lo are just recently engaged. Well, you don’t need to worry, because they are still very much engaged. However, there’s no doubt about the fact that there has already been trouble in paradise for the singer and the baseball star. That’s because, just days after they announced their engagement to the world, rumors began to circulate that Alex Rodriguez had cheated on the singing superstar. We can only assume that caused a rift between the pair of them. Of course, the rumors didn’t just come from nowhere. They actually came from Jose Canseco, another famous baseball star. Canseco found himself in the midst of a Twitter rant, where he reported his belief that Alex Rodriguez was having an affair with his ex-wife, Jessica Canseco. He called out the couple for their engagement on the social media platform, and this was bound to annoy the newly engaged J-Lo. After all, you don’t want anyone coming in and stealing your big moment with cheating rumors. J-Lo is probably not too happy with him. No way, Jose. Jennifer Lopez served on the judging table of American Idol for many years, and she built up an impressive reputation for her work on the singing competition. Although it’s normal for her to squabble with her fellow judges, there’s no doubt about the fact that she was particularly annoyed with Keith Urban in 2014. When the judges were offered the chance to save a contestant, J-Lo had to go for the majority vote, and she was outnumbered by Keith and Harry Connick Jr. It’s believed that she is still upset about this today. 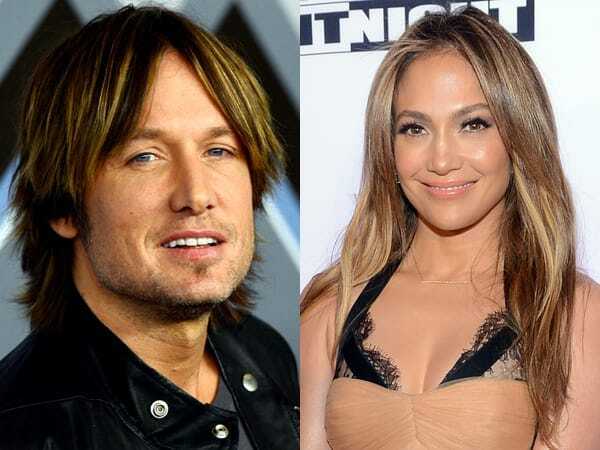 Jennifer Lopez vs. Harry Connick Jr.
Of course, the blame did not lie entirely with Keith Urban. She was also saddened by the actions of her other co-judge, Harry Connick Jr. She later reported in an interview about the show that she was outraged by the decision to send home Malaya Watson. It seems as though she was not alone in this feud, however, as many people at home were on J-Lo’s side. 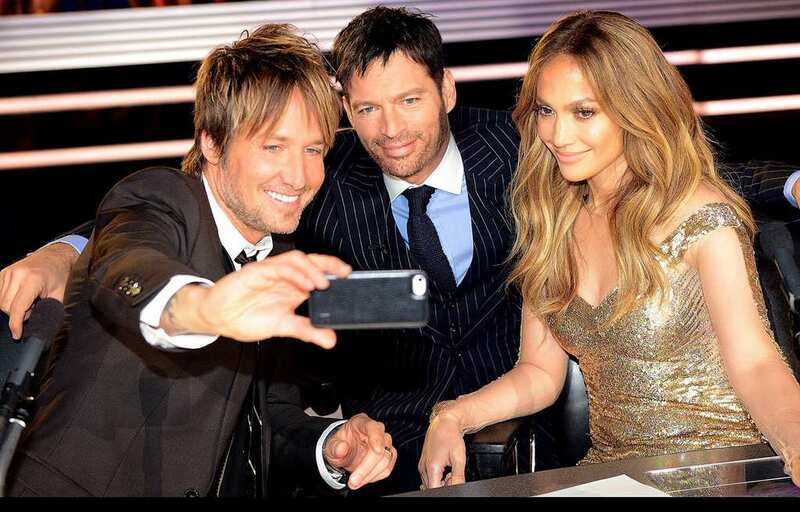 Despite this small hiccup, it’s believed that Jennifer Lopez and her American Idol co-stars are actually good friends. Thanks to their Latin origins, Eva Mendes used to get compared to Jennifer Lopez frequently. Eventually, she got tired of it and spoke out against it. In the process, she said some not-so-nice things about J-Lo. Mendes said that she has is more “serious” about her career than Lopez is. Mendes went on to say that J-Lo manages her career like a business, while Mendes just wants to be the best actress she can be. Those sound like fighting words to us! 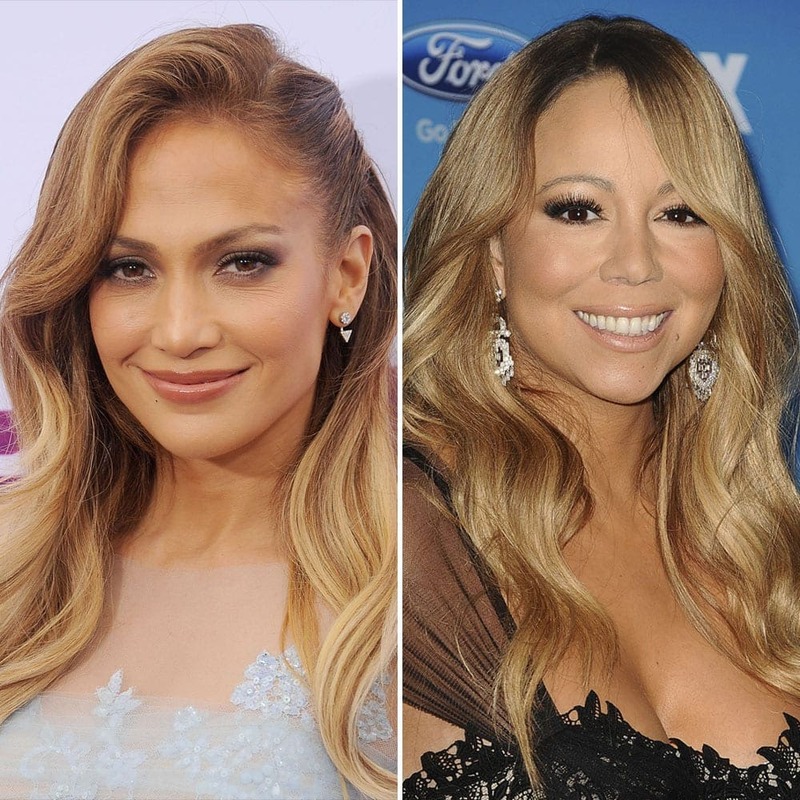 The feud between Mariah Carey and Jennifer Lopez is one of the most famous in Hollywood. 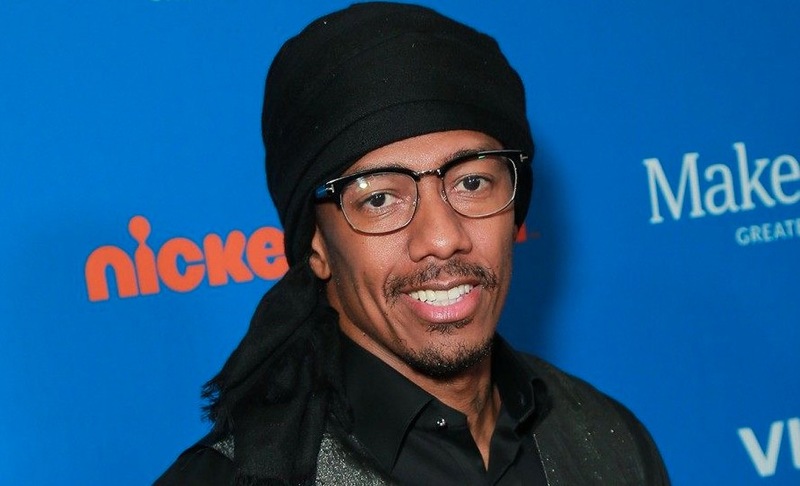 So perhaps it’s no surprise that Carey’s ex-husband Nick Cannon decided to get in on the action. He was asked who his three celebrity crushes were, and he answered Mariah Carey (of course), Halle Berry, and Naomi Campbell. Then, one of the producers asked if J-Lo had a place on his list. Cannon repeated Carey’s famous line, saying “I don’t know her.” Ouch! Last year, Jennifer Lopez appeared on an episode of Tinder Swipe Sessions, on which she tried to help a 29 year old country singer named Brooke find the man of her dreams. While swiping, J-Lo commented on the fact that a lot of Brooke’s matches were under age 33. Then, she went on to say that men are “really useless” until they reach age 33. Needless to say, this comment didn’t go over so well, particularly with young men. 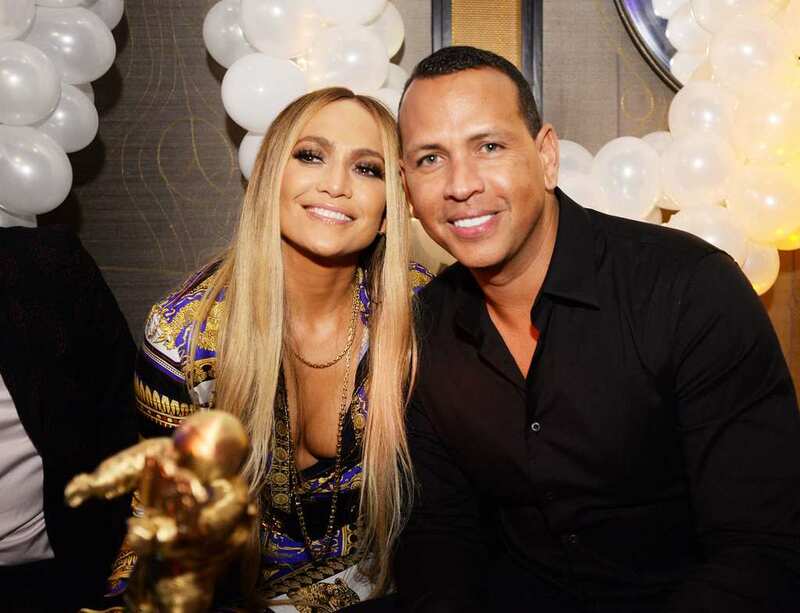 J-Lo definitely has more than her fair share of celebrity rivals, and perhaps she definitely added a few more haters to her list with her engagement to Alex Rodriguez. Things escalated recently when the singer’s Hollywood Walk of Fame star was vandalized at the end of last year. Someone spray painted a big ‘X’ over her star, much to the chagrin of her many loyal fans. We know that people hold grudges, but this seems to be taking things too far.